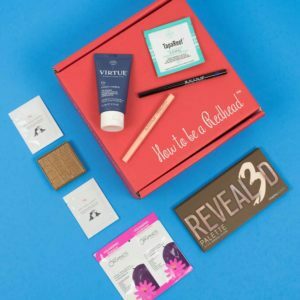 The H2BAR Box is a monthly subscription box for redheads. 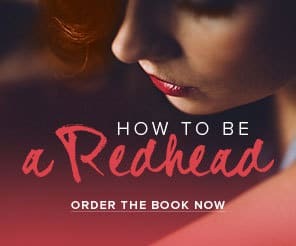 Each and every product has been tested on a redhead for a maximum of 10 days. 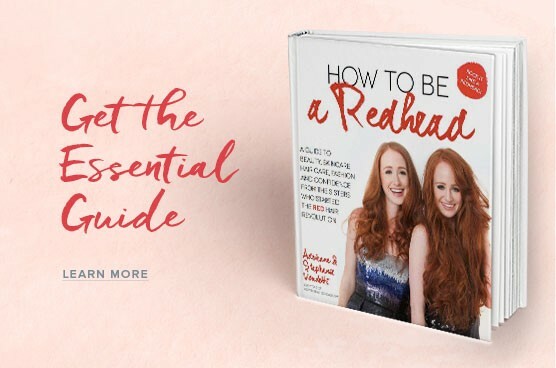 This is to ensure all products are ‘Redhead Friendly’. 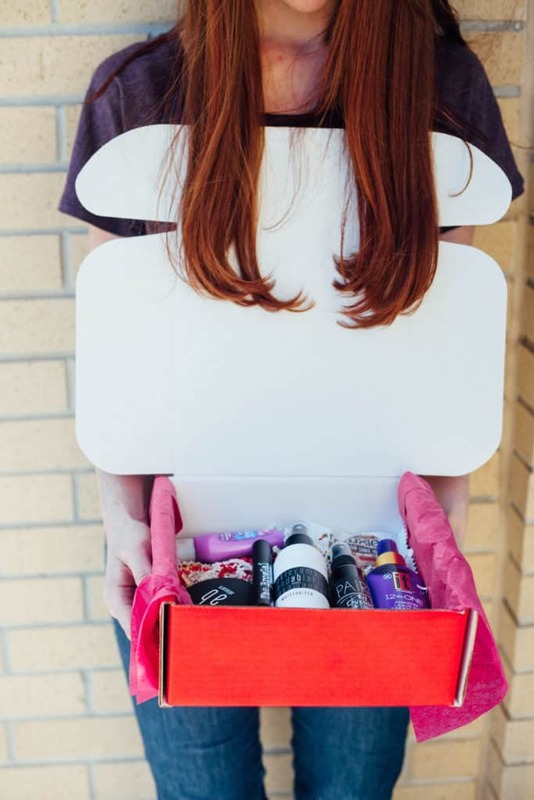 February’s box was celebrating Valentine’s Day, but with a little twist. It was focused on loving yourself and your fabulous red hair. 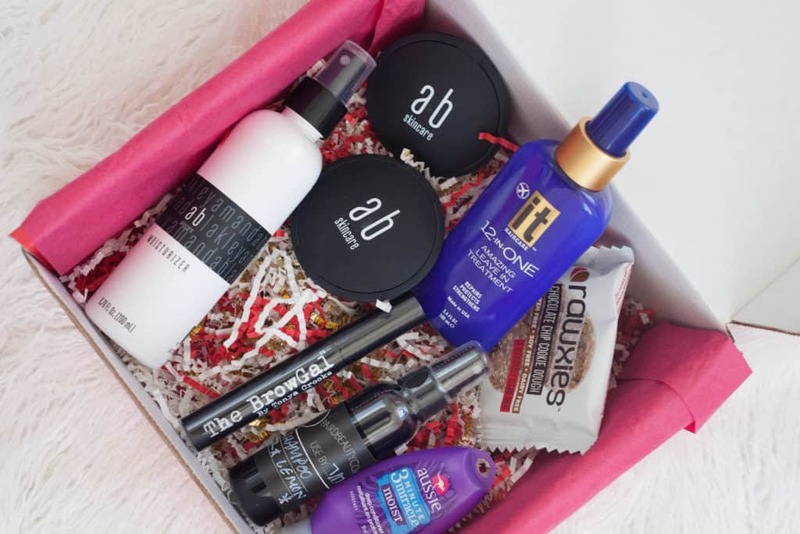 This month’s box had five full-size products, two travel-size hair goodies and a little healthy snack for you to enjoy. 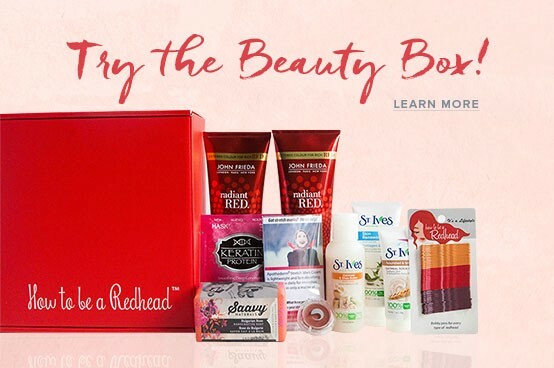 Explore each brand and scroll to the bottom to receive an exclusive deal off your first box! 1. 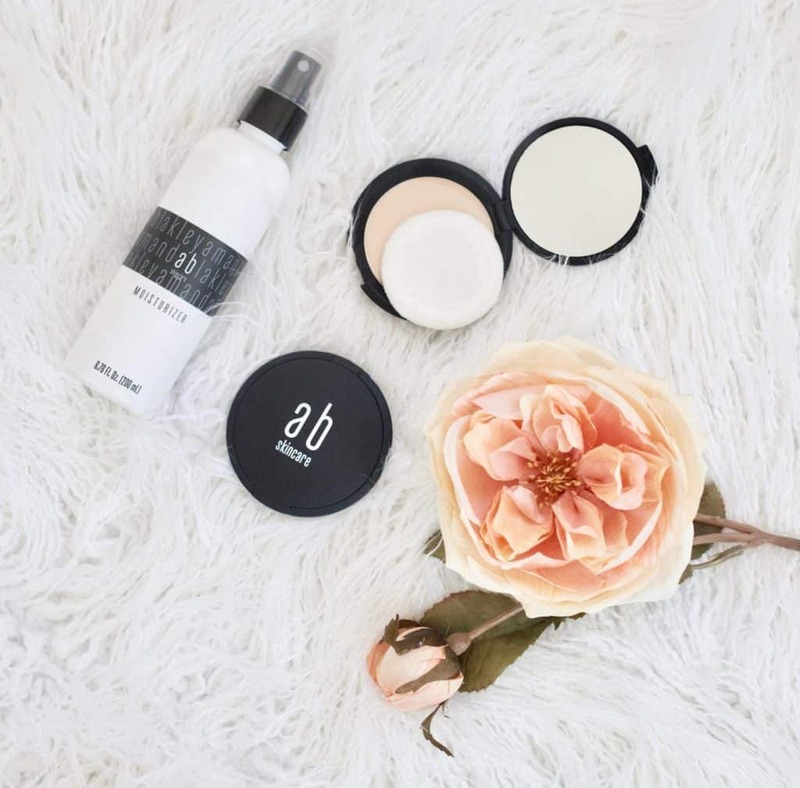 Amada Blakey Skincare, $92 Value: This line was developed to provide the simplest and most successful approach to skin care with the best results in terms of minimizing sun damage, wrinkles and skin breakouts. 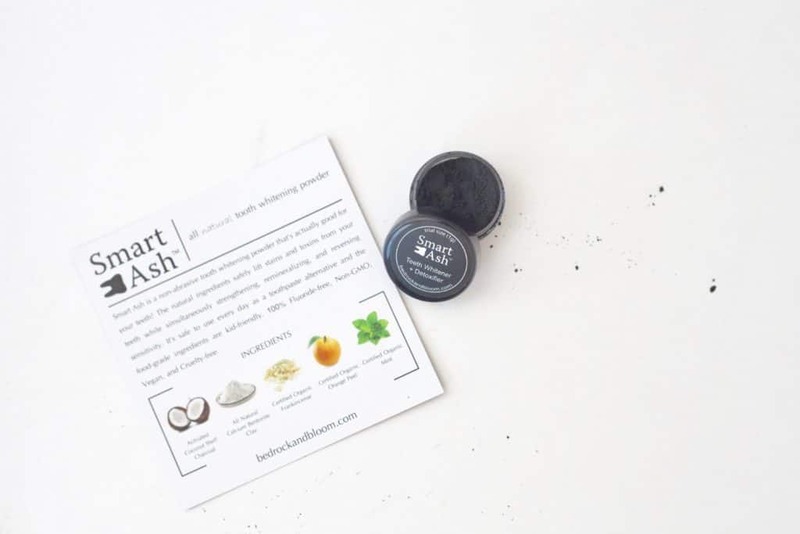 We included the all-natural moisturizer and mineral powder in both light and medium. How to Use: Use three or four spritzes of the moisturizer in the morning to freshen skin, or at night after washing cleansing. Then, apply the lightweight powder. 2. Pair’d Beauty, $5 Value: We love dry shampoos. More importantly, we love to share our favorite dry shampoos. 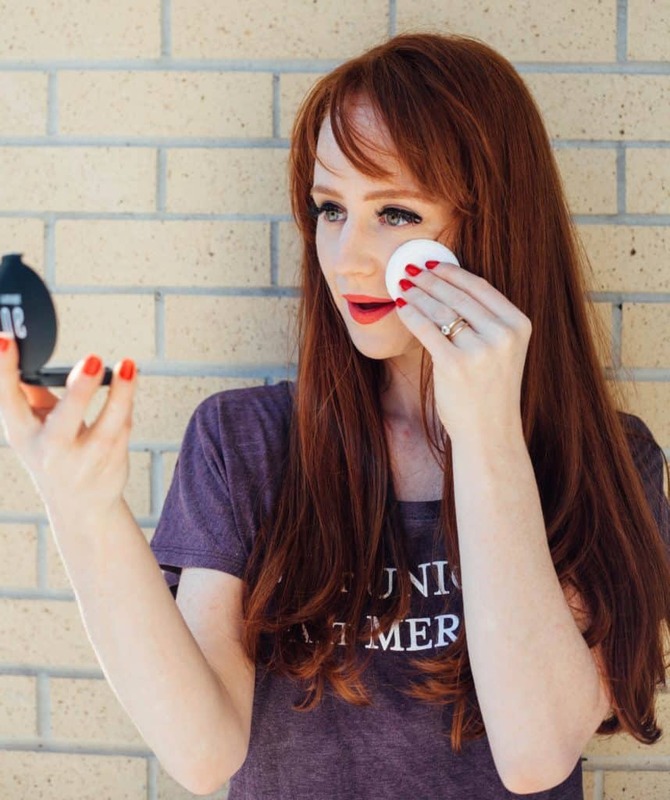 Each product is handmade by Pair’d Beauty’s founder, Jessica. 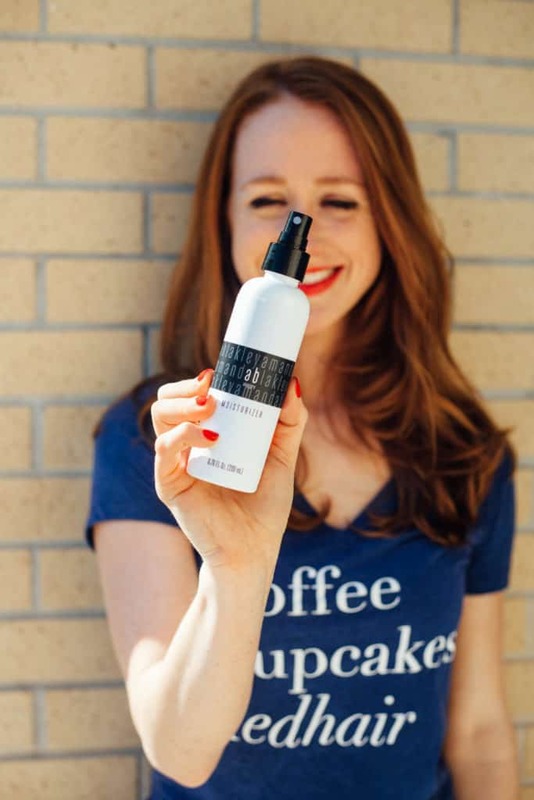 The dry shampoo is 100% organic and for all hair types. We absolutely adore it. If you plan on styling your hair directly after applying dry shampoo, we suggest you blast your hair for 10 – 20 seconds with cold to warm hair from the blow-dryer. This is to just ensure your hair is completely dry. Spritz into hair before bed and brush out in the morning when it dries. This allows it to work while you sleep and if you toss it in a high bun in can help give you some great textured waves. If you chose not to blow-dry your hair that’s okay too. You can simply spray and let air dry! 3. 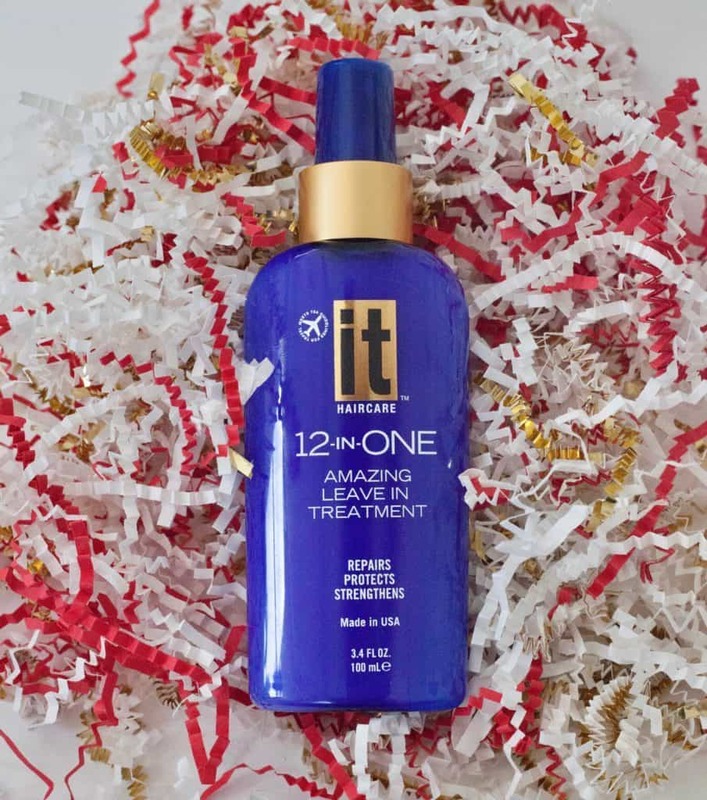 IT Hair Care, $7 Value: This 12-IN-ONE Leave-In Treatment is your all-in-one solution to miraculously healing and restoring 12 common hair concerns including breakage, split ends and frizz. 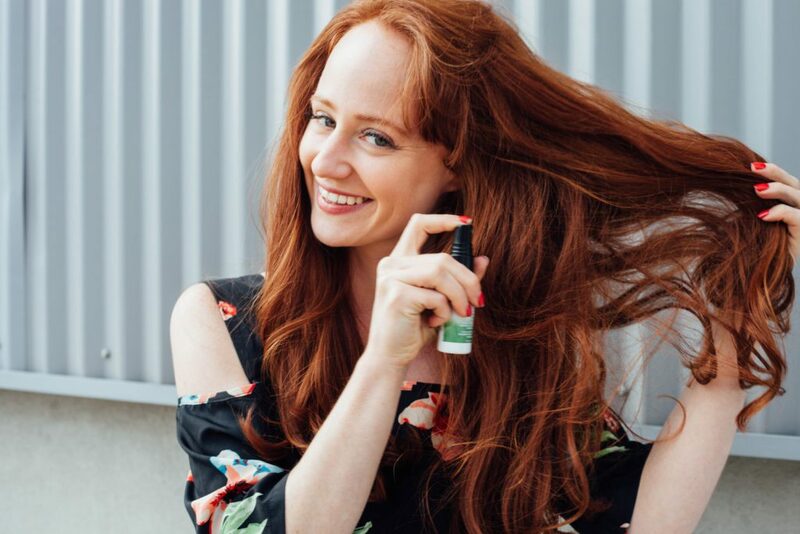 Revitalize your red hair with this luxury treatment, infused with our exclusive Abyssinian Oil for gorgeous, shiny hair that is, in one word – AMAZING. 4. 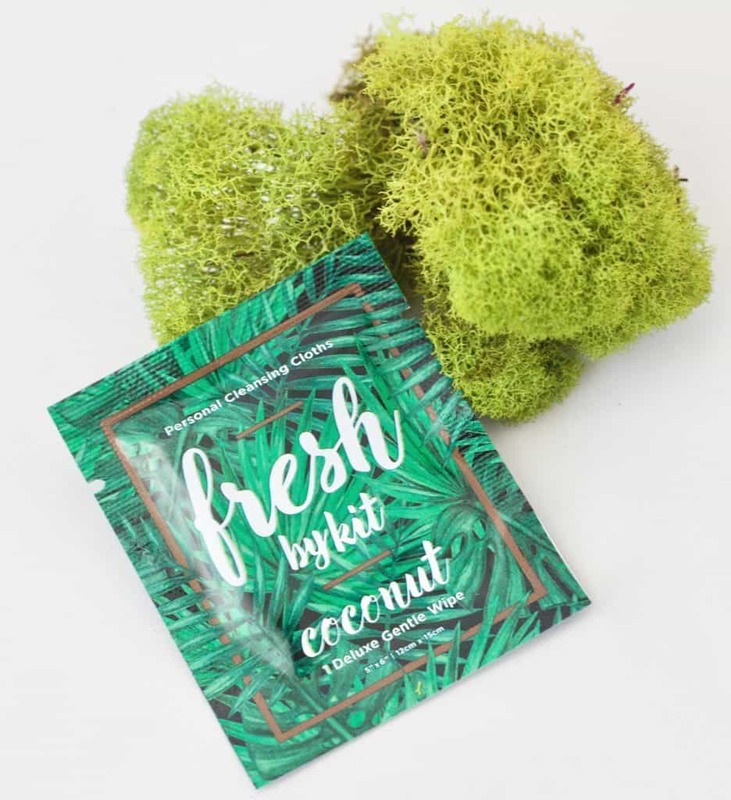 Aussie, $5 Value: Made to transform dry hair into silky, shiny waves in 3 short minutes with a nourishing and intensely hydrating formula, made with a touch of Australian Aloe, Jojoba and Sea Kelp. This deep conditioner is a consistent winner of top beauty product awards and is definitely ‘Redhead Friendly’! 5. 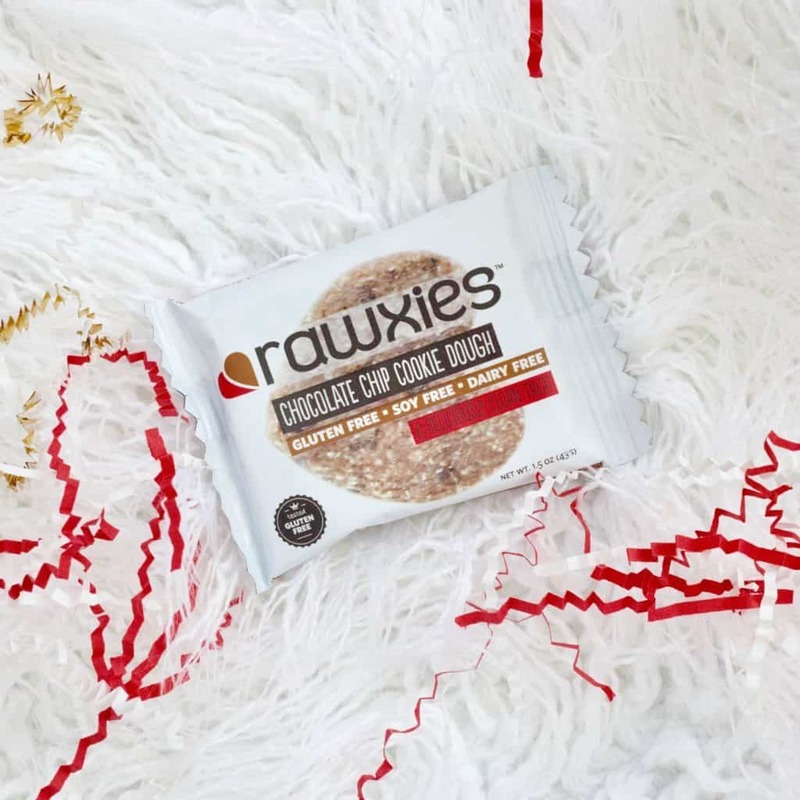 Rawxies, $2 Value: This is the 2nd time we have featured this delicious, healthy snack. What can we say? It’s good for you and shaped in a cute heart. Each cookie is vegan, gluten-free and soy-free! 6. 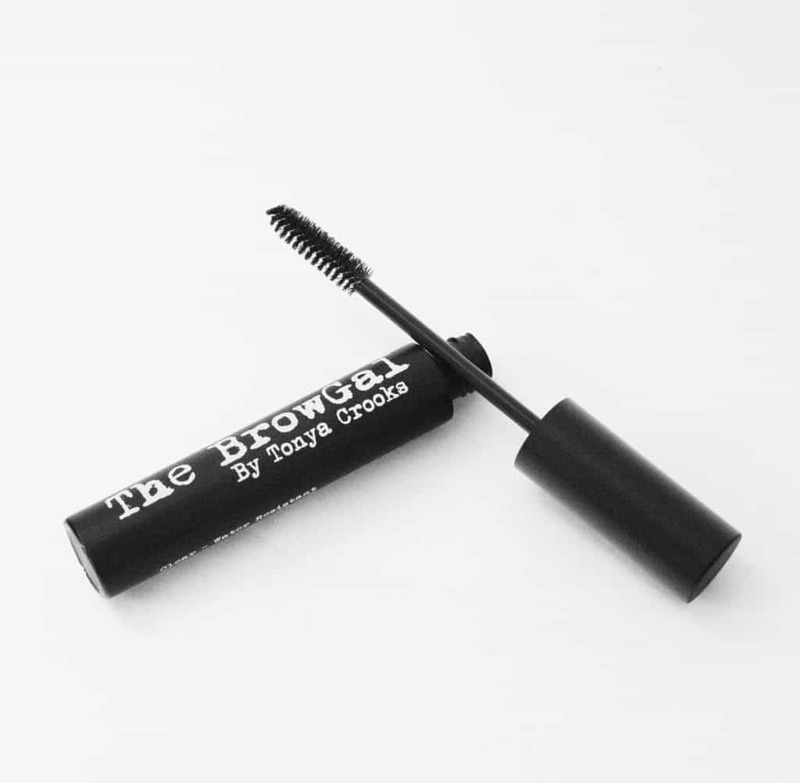 The Brow Gal, $20 Value: We’ve included many eyebrow products in past boxes, but this was the first time we have included a clear gel. 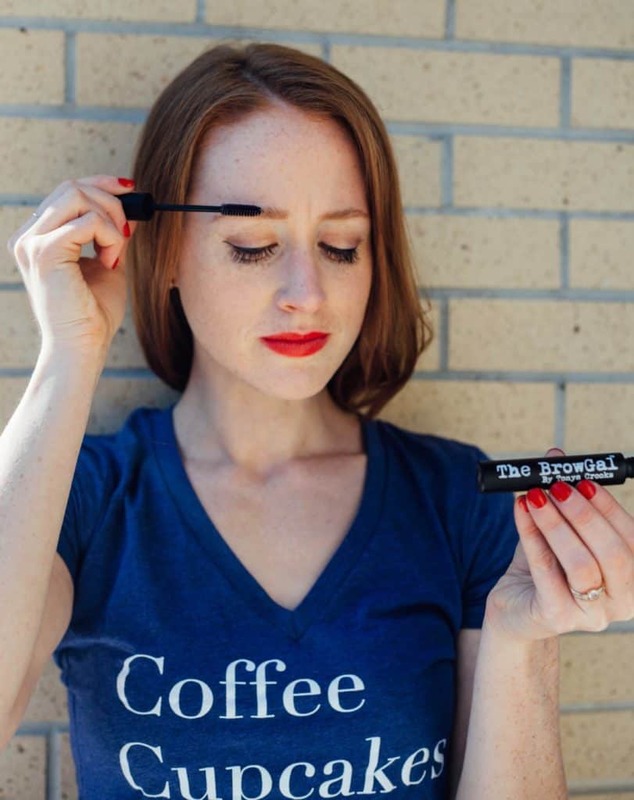 This eliminates perfect brows from losing shape. It works with pencils and powders to seal and protect brows. The best part: it won’t flake and works all day. 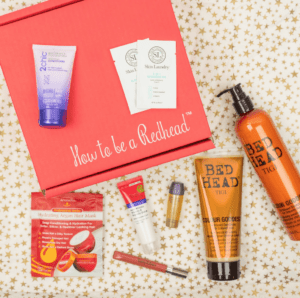 March’s H2BAR Box was curated around delivering a box full of 100%-natural ‘Redhead Friendly’ approved products. The theme was also focused on being “lucky” and thankful for red hair. 1. 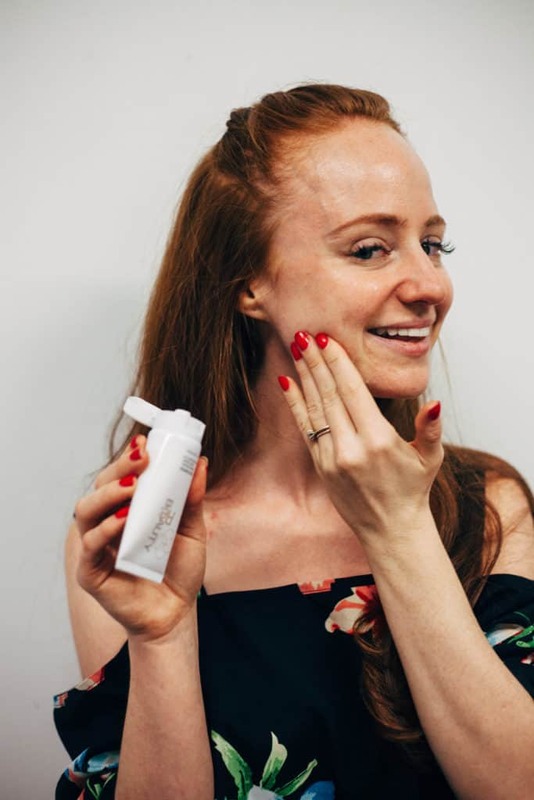 RE:CHARGE Brightening Face Mask with Re:Vitaplex, $46 Value: This full-size rich and highly moisturizing face mask helps to detoxify, brighten and boost redhead skin. Apply a generous layer to cleansed skin of face and neck once or twice per week, allow to set for 15-20 minutes. To remove the mask, massage in small circles until well penetrated and then gently remove with a soft cloth. It is not necessary to wash the face afterward. 2. Mineral Fusion Lip Butter in ‘Vine’ $12 Value: Ladies, time to pucker your lips! 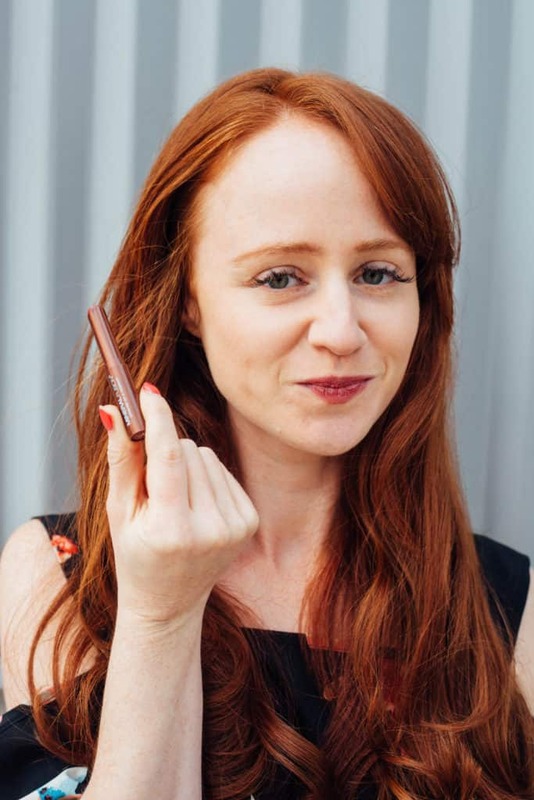 Mineral Fusion included their amazing pigmented Lip Butter in a very ‘Redhead Friendly’ color. Perfect for all four seasons. Plus, it’s gluten-free, vegan, cruelty-free, fragrance-free, hypoallergenic and free of artificial colors! 3. 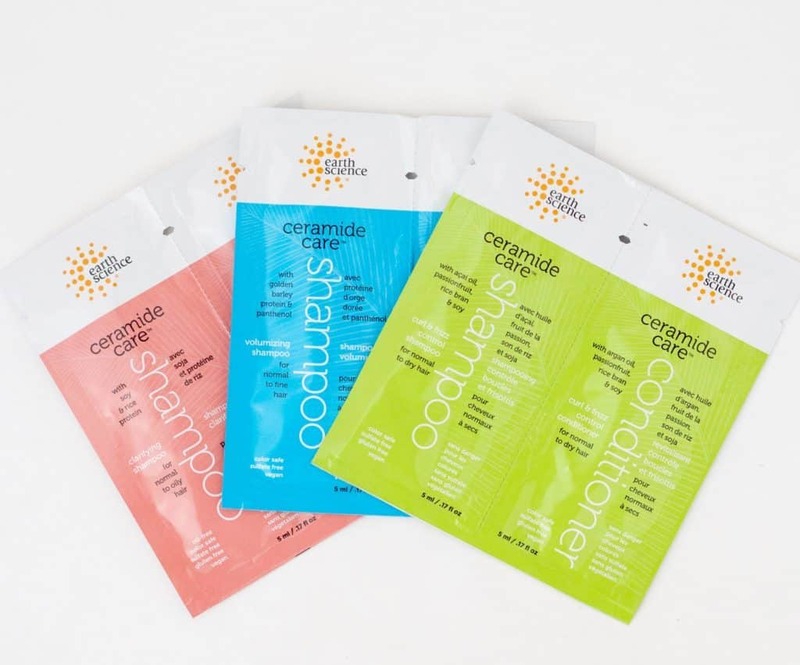 Fresh Wipes, $2 Value Each: The concept is simple: deliver a pH balanced, all natural cleansing wipe in an individually wrapped package. Perfect for a handbag, gym or yoga bag, and travel bag, and chic enough to show off. 4. 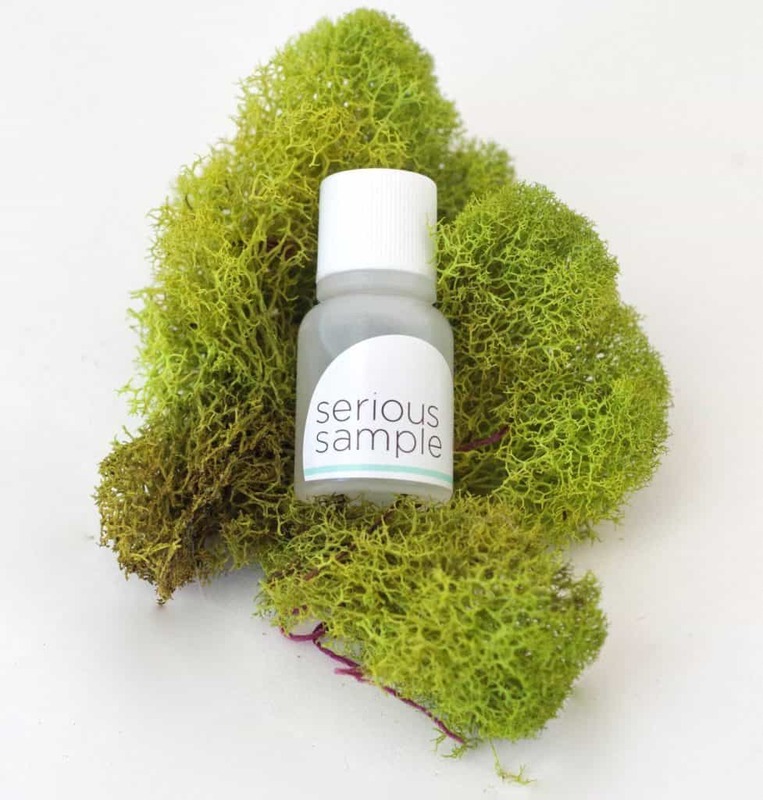 Serious Serum Sample, $7 Value: A serum that actually does wonders on for those with sensitive skin! A combination of facial grade AHA/BHAs and green tea, aloe vera, and chamomile to smooth bumpy, rough skin everywhere. Simply use a pea-sized amount of serum on the affected area daily; including alleviate ingrown hairs, blast breakouts, and minimize redness. 5. Earth Science Naturals Shampoo & Conditioner, $2 Value Each: A gentle daily shampoo and conditioner made for those sensitive to fragrance. Perfect for those weekend getaways. 6. colorPhlex Leave-In Treatment, $5.50 Value: We fell in love with this product months ago and had to let our subscribers try it too! 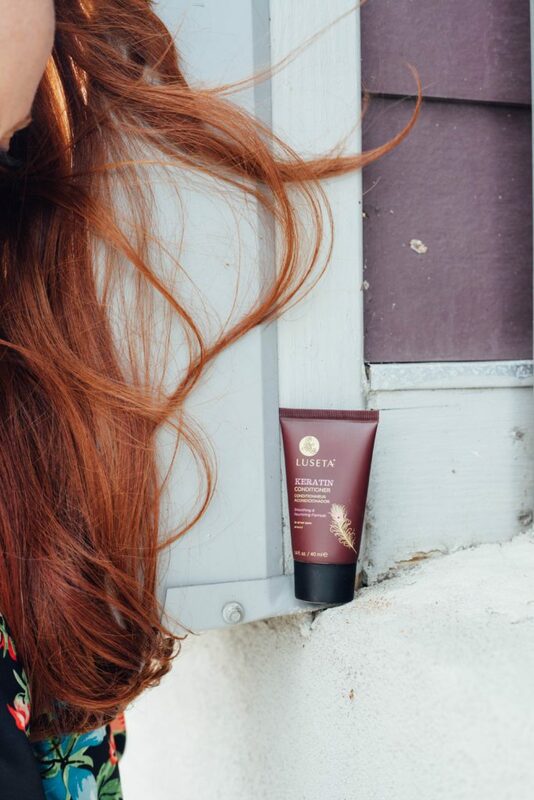 It’s a vegetable-derived color leave-in to strengthen your weak & damaged red hair. Sunflower seed extract is included to naturally protect your color from UV damage and fading. Use Code: REDHEAD17 to receive 25% off until 3/31/17! 7. 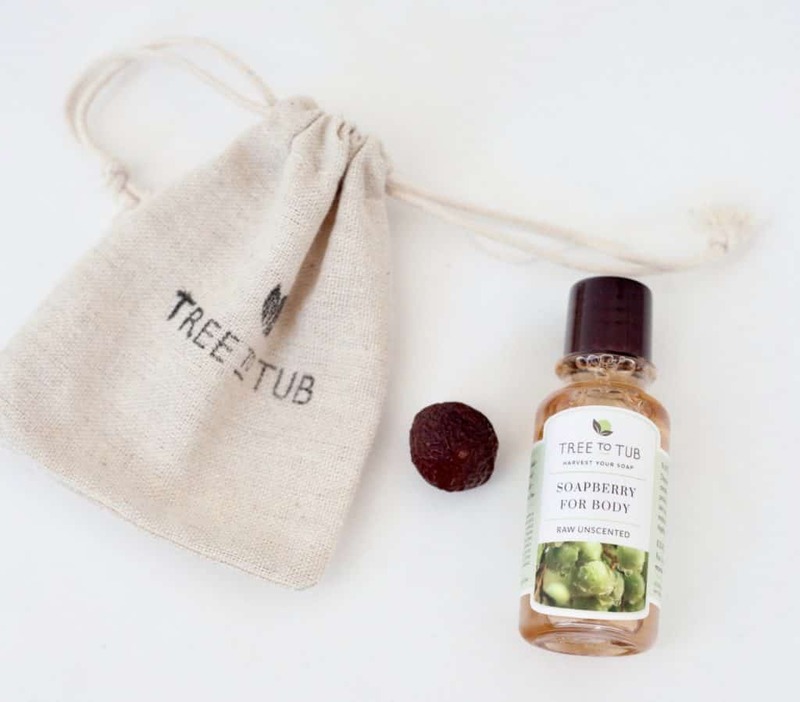 Tree to Tub, $9 Value: A little canvas pouch included Tree to Tub’s Organic Soapberry Body Wash and a tiny soapberry! The soapberry can be tricky to use, so we advise heading to the company’s website to see all their soapberry tips. -Gentle face wash & hand soap: The soapberries are sun-dried to last forever, so before you use them, rehydrate them by placing them in a pot of boiling water for about 5 minutes. Then simply wet your hands, and massage a single berry between your palms. Now experience the creamy, gentle lather, and feel how smooth it leaves your skin. One berry can be used for multiple times. After the berries are softened, you can store them in the fridge or freezer. -Natural laundry detergent & fabric softener: Place the soapberries in a drawstring muslin bag, tie the strings and toss the bag in your laundry. Dry the bag of berries with your clothes after, and keep them dry until the next time. It’s good for 5+ loads. 8. Bedrock & Bloom, $3 Value: This was our first time including a product specifically made for (sensitive) teeth. The small round sample may look weird, but trust us it works wonders. It whitens teeth, cleans, detoxifies, reduces sensitivity, strengthens and restores without the chemicals. Read these instructions before using! 9. Luseta Beauty Keratin Conditioner, $5 Value: We love a good keratin conditioner! This one in particular locks in moisture while repairing damaged red hair. The result: stronger, softer, more luxurious hair. 10. 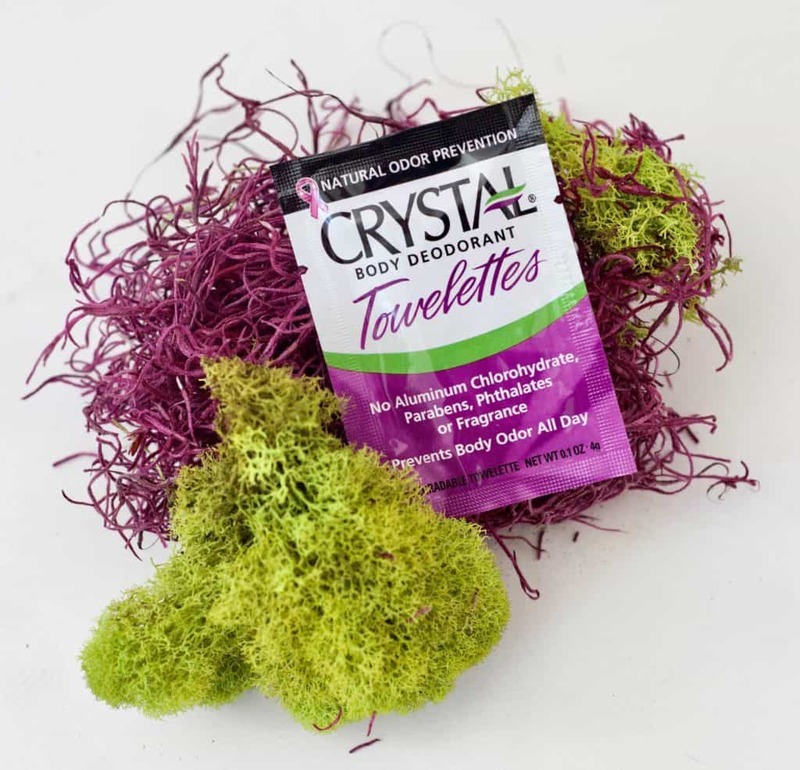 Crystal Deodorant Sample Pack, $3 Each: A natural deodorant that actually works. Contains no aluminum, chlorohydrate, parabens, phthalates or fragrance. Subscribe to the H2BAR Box! Use Code: READER for 15% off your 1st box!